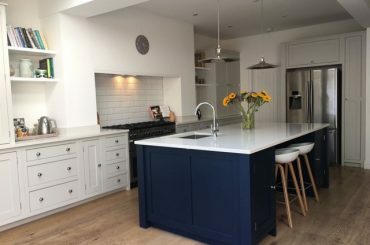 A number of factors will affect this, namely, the number of units, the number of integrated appliances, type of worktop and the overall design of the kitchen. As a rule of thumb, most kitchens we fit take around five to eight days to complete. Do you fit all types of kitchens? 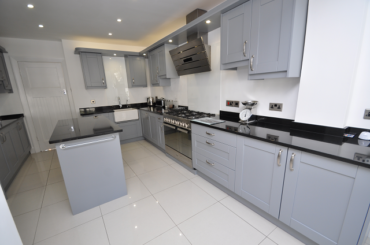 Yes, we can fit all types of kitchens, but specialise in solid wood kitchens and in-frame kitchens. How much do you charge to fit a kitchen? As a rule of thumb, based on a medium-sized kitchen with around 20 doors and 8 drawers the cost will be between £1500 and £2000 depending on the size of the doors, number of integrated appliances, pillars, cornicing, etc. 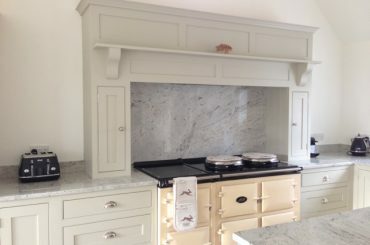 In addition to our New Forest area, we also fit kitchens all over Hampshire & Dorset, Berkshire, Surrey, Sussex and Wiltshire. We generally don’t supply these but are very happy to offer advice and recommendations. Can you remove and dispose of my existing kitchen? Can you make bespoke shelving for my kitchen? We have public liability up to £1 million. 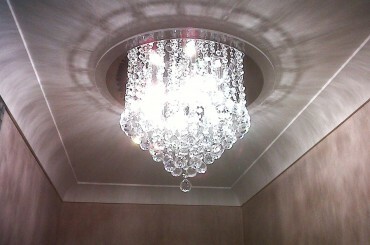 We specialise in hand painting, which gives a lovely traditional finish. Many of our customers have asked if we spray paint. Although there is nothing wrong with this method, having looked closely at many factory-produced ‘painted’ kitchens, they can look artificial. If you want to retain the character of say a hand-made kitchen or one with wooden doors, then hand painting will only enhance the look. How many coats do you apply? We apply a primer and undercoat, and then recommend at least three acrylic eggshell topcoats, sanded between each coat to both sides of the doors and all the framework. What paint do you recommend? We are often asked to recommend a particular paint. We only use acrylic eggshell finish and can highly recommend Johnstone’s Trade paint which can be mixed in practically all the Farrow & Ball, Dulux and Crown colours or Little Greene Paint Company, Fired Earth and The Paper & Paint Library. These all give a very professional and hard-wearing finish. How long will it take to paint my kitchen? Depending on the size of your kitchen, on average, it usually takes between five and 8 days to paint. We charge around £80 per door, but take into consideration the number and size of drawers, end panels, pillars, cornicing, etc. Do you treat the inside of wooden kitchen cupboards? There are a number of choices when it comes to the finish of the inside of cabinets. Some people prefer to leave them unfinished, whilst others opt for Danish oil or a matt varnish, which is particularly suitable for wooden units. There are other options which we can discuss with you. How do I look after my newly painted kitchen? Simply clean off spills and marks with a warm, damp cloth with a little detergent. If it won’t budge, use something more abrasive like a cream cleaner or failing that a fine sandpaper and then simply touch up if you remove some of the paintwork.